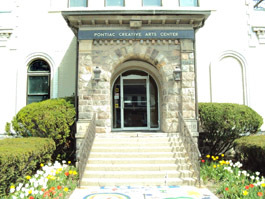 Home » News & Events » Events » Celebrate Black History Month at the Pontiac Creative Arts Center! Celebrate Black History Month at the Pontiac Creative Arts Center! In celebration of Black History Month, the Pontiac Creative Arts Center presents guest author, Jean Alicia Elster. She will discuss her book The Colored Car through a presentation titled "The Back Story." The presentation will be followed by a book signing and reception. Books will be available for purchase courtesy of the Book Beat. For young readers, the powerful story of an African American girl's train journey south from Detroit in 1937. A look at issues of race in Depression-era Detroit for young readers, aged 8 through 12.